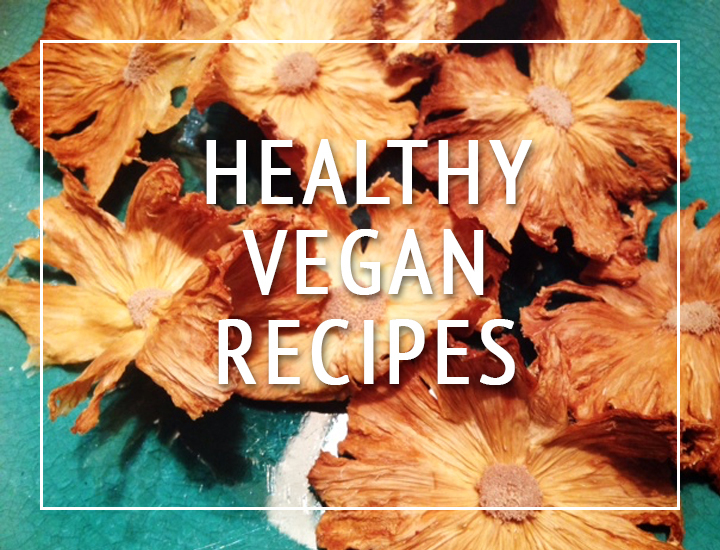 This month I’ve been trying out Matt Pritchard’s new vegan cookbook, ‘Dirty Vegan’. In sharp contrast to Ella and Anna (in personal style at least), Matt is a tattooed, skateboarding, Ironman, who switched to veganism three years ago having been inspired by other meat-free athletes. 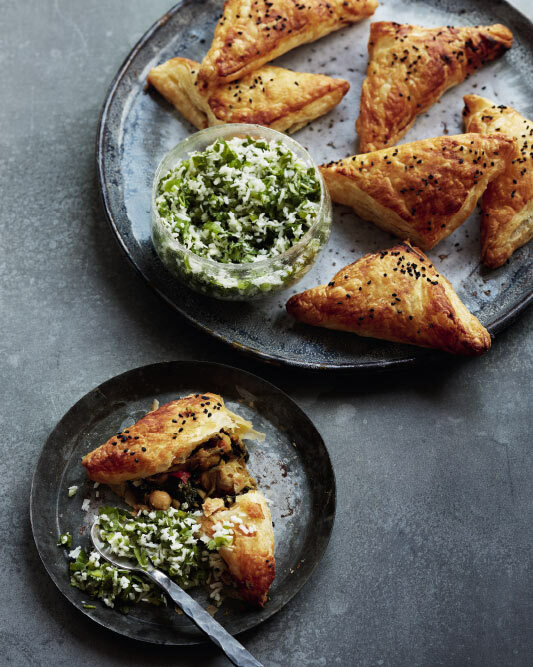 The book, which is published to accompany a new TV series airing on BBC Wales and BBC iPlayer this month, contains 80 recipes, from simple breakfasts to hearty soups and stews, colourful salads and indulgent puddings. While the usual suspects feature – scrambled tofu, overnight oats, energy balls, bean chilli, chickpea curry etc. – a few new recipes and intriguing ingredient combinations caught my eye. The marmalade toast and tea porridge, for example, certainly left me curious. This involves brewing a teabag in almond milk, which you then use to make the porridge, and making sourdough croutons that are added as a topping. I was slightly put off by the inclusion of a substantial amount of sugar to this recipe, but I’m sure this can be left out as the marmalade adds plenty of sweetness. 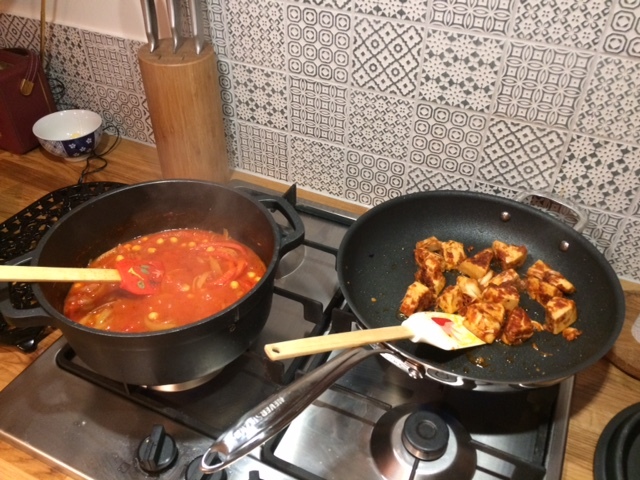 I was keen to try the jackfruit and red pepper goulash (which I made with much success last week) as I’ve had a tin of jackfruit in the cupboard for a while now and I’ve been unsure what to do with it! 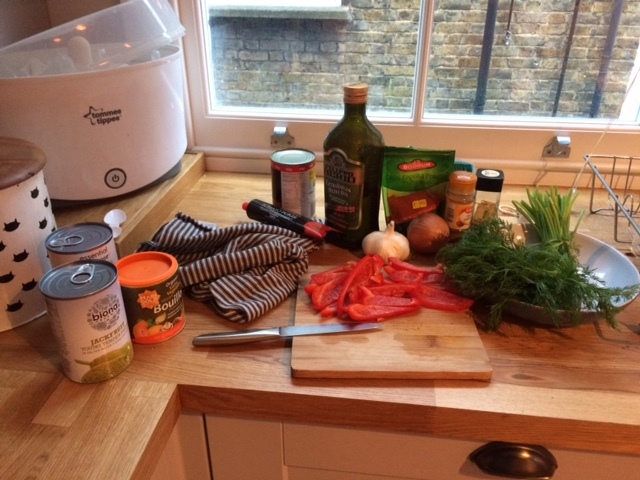 The goulash was really hearty and delicious, perfect January fayre, and it was great to use herbs such as caraway, which I don’t often use, to add new flavour dimensions. The portions were also a good, generous size, an important factor for any hungry vegan! I am also excited to try the recipe for the pea and potato dosa, as I love dosa but have never made them myself before, (although I haven’t braved this recipe as yet) and for the malt loaf, made with fig, prunes, tea and chia seeds, which will be perfect snacking after my Sunday long runs! The goulash – perfect cold weather food! 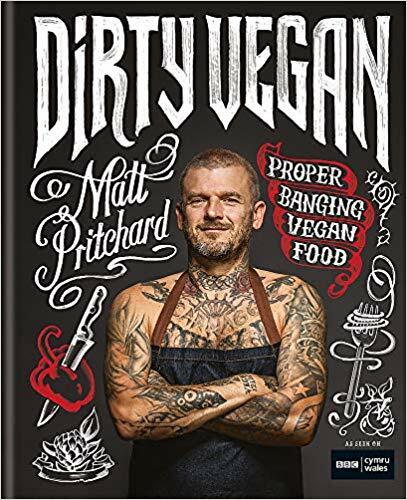 ‘Dirty Vegan: Proper Banging Vegan Food’ by Matt Pritchard is published by Mitchell Beazley and is available to buy now at £20. Photography by Jamie Orlando Smith and Chris Terry. Dirty Vegan is on BBC One Wales and available on BBC iPlayer in January 2019. You can find out more about Matt at www.dirtysanchez.co.uk or follow him on Instagram at @pritchardswydDirty Vega by Matt Pritchard is published by Mitchell Beazley, £20.